Philosophy and research have always been the basis of every important decision made about teaching and learning. I believe the most successful teaching and learning should reflect the diversity and ability levels of all students involved. It should be adaptable without losing sight of the intended goals. In today’s classrooms, the world of hardback books and pencils are long gone and the role of the classroom teacher has been transformed from that of a teacher into that of a facilitator. Blended learning has become popular in recent years. Blended learning can be explained as taking a portion of the face-to face instruction model and replacing it with web-based instruction. Many schools have elected to use the flipped classroom model, which is a type of blended learning. In this model, the students first study the given topic by researching it online and watching videos on the lesson prepared by the teacher. When they return to the classroom, activities are completed and the teacher acts as a facilitator when the student becomes stumped. Many flipped classrooms also include differentiated instruction and project-based learning. In all of these models, the student is able to have a hands-on experience with their learning. I started implementing blended learning into my classroom a few years ago. 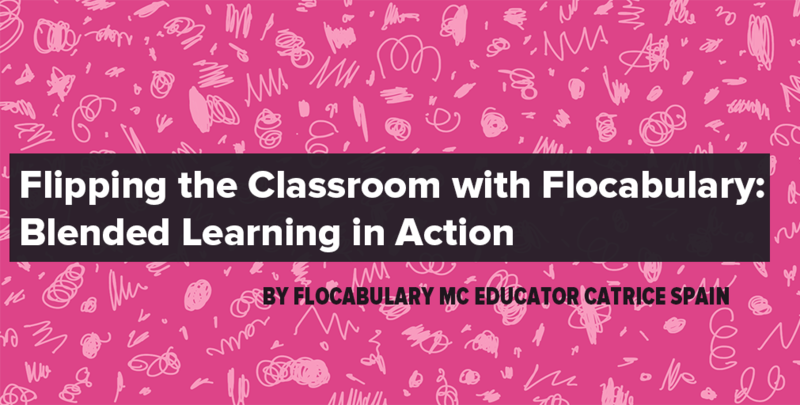 One of the first assignments I used with my students was a Flocabulary lesson. We were discussing the writing process and I had my students view the video and complete the Read & Respond at home. The next day we watched the video again with Discuss mode turned on and took the quiz. 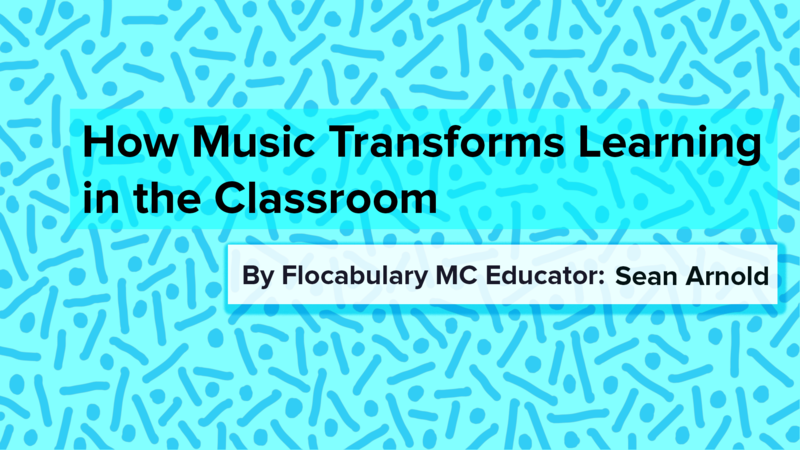 I believe blended learning is a great way to motivate students, especially when you use Flocabulary! My students really enjoyed being able to have access to the lesson at home. Blended learning also allows teachers to get to know their students. Teachers who develop a relationship with their students will reap the rewards of enhanced student learning. Students will be eager to learn and complete tasks when they know their teacher values them. Finding new and exciting ways to teach, such as using the flipped model, may keep students engaged. 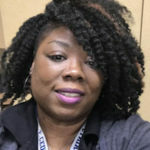 I believe students will remain interested, and enjoy learning more, when teachers find ways to transfer accountability by including them in the initial lesson process. My students love to suggest which Flocabulary lesson I should include in the plan for the week. 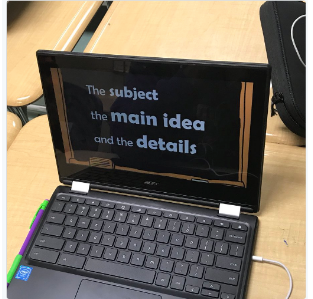 Each year, my students have a favorite Flocabulary lesson, and it is always Point of View! Blended learning gives the students a sense of empowerment. It allows them to lead their learning their way. One piece of advice I would give to teachers is to always give the Flocabulary quiz in class instead of assigning it to the students at home. This way, you can monitor the students and make sure no one is helping with the answers. Flocabulary is a great tool for blended learning because it is interactive and my students love it! I also love the fact that I can use the reports to see who has not completed the assignment. If you have not tried blended learning yet due to hesitation, it is time to throw caution to the wind! You can jump right in or move at your own pace. You will find that your students will be your greatest cheerleaders. They love to be able to help their teachers. So, don’t let blended learning scare you. Take the bull by its horns and start with assigning one Flocabulary lesson for your students to enjoy at home. You will be surprised by the great response. Catrice Spain has been in education for 14 years. She has taught in-person and online. She is an innovative educator who also teaches English to Chinese students online. Catrice is a technology fanatic and loves living in Georgia.